The cook at the Rectory, Dona Betty, makes hands-down the best stewed chicken I have ever had. 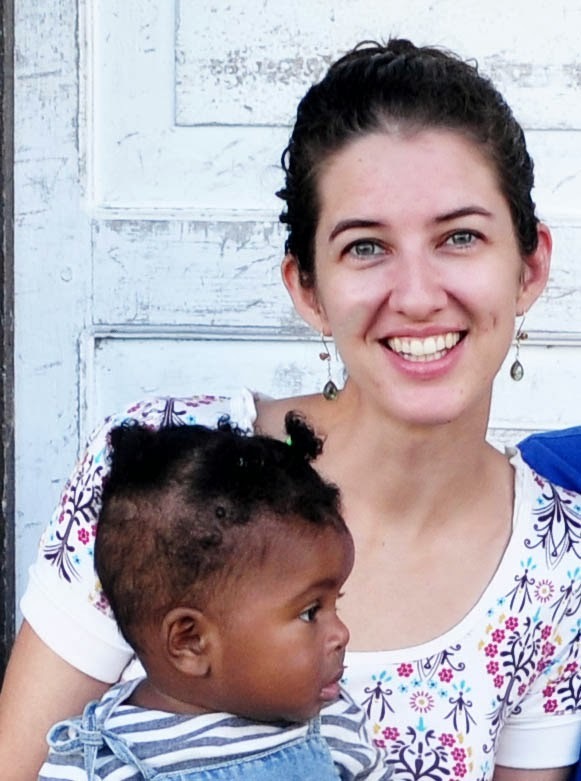 And believe me, living in Belize means you eat a lot of stewed chicken. It's one of 3 things you are likely to get anywhere you might be given food (the other things being cheese dip and tiny sandwiches with a spicy mystery spread). People have requested this recipe for years (this is for you, Jena!) but a) I eat it so often I had no desire to make it at home and b) Dona Betty doesn't speak English and maybe I still don't speak much Spanish. Ahem. Anyways, Daniel translated for me one day, then I tried it at home... soooo good. Caveat: Dona Betty just listed the ingredients for me. I don't think her amounts matter much anyways, as she is normally cooking for 30 people so the amounts would be really different. I will tell what things I measured, but this recipe is pretty flexible. 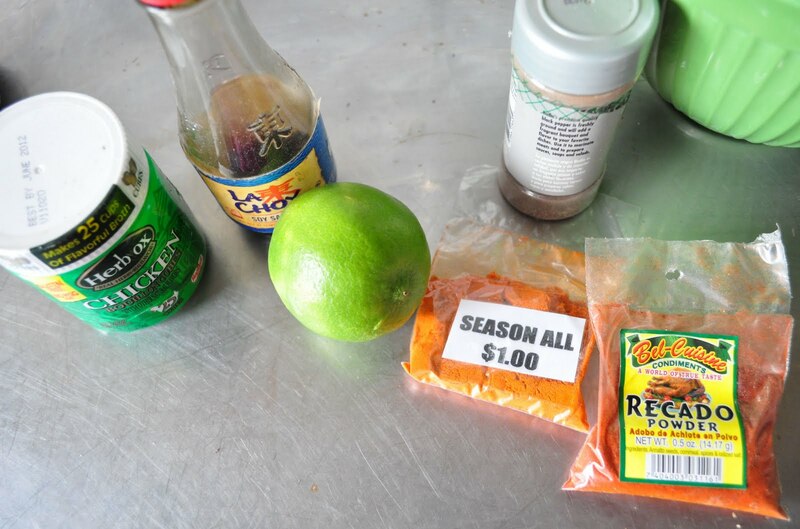 Also, Dona Betty uses a Belizean season all spice mixture that is ubiquitous here, but has no ingredients listed. As far as I can tell, it contains salt, recado, oregano, lime, garlic and onion powder- all of which are in the dish, so I don't think it will matter much not to add it. 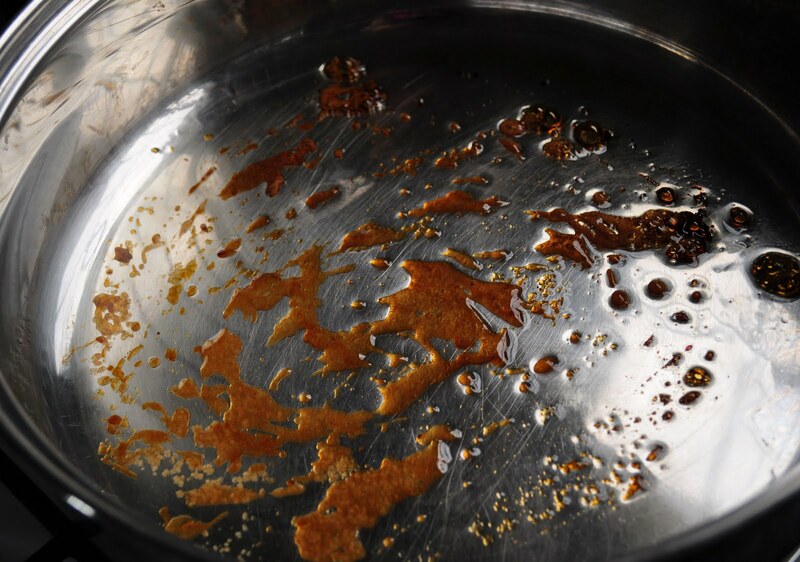 The spice recado is essential to this dish, it gives it the flavour and color. I have seen it in Mexican groceries in the States. It is also called achiote. It mostly come in a clay-like block, but see if you can find the powder, it is much easier to work with. If not, just make the recado into a paste by adding some water. 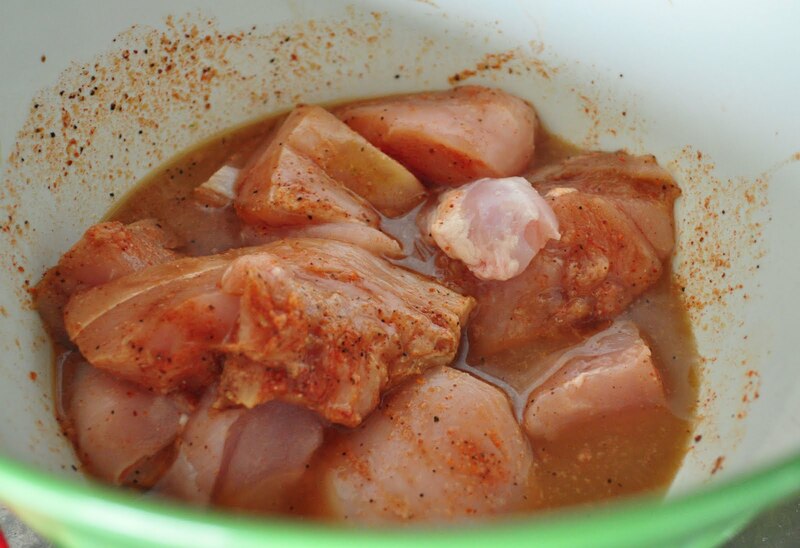 Add chicken bullion cubes (add a little water to make them a paste), soy sauce, lime juice, garlic powder, season all, and 1 tablespoon recado to chicken and let marinate for an hour or two. Brown the chicken in the sugar/oil mixture. 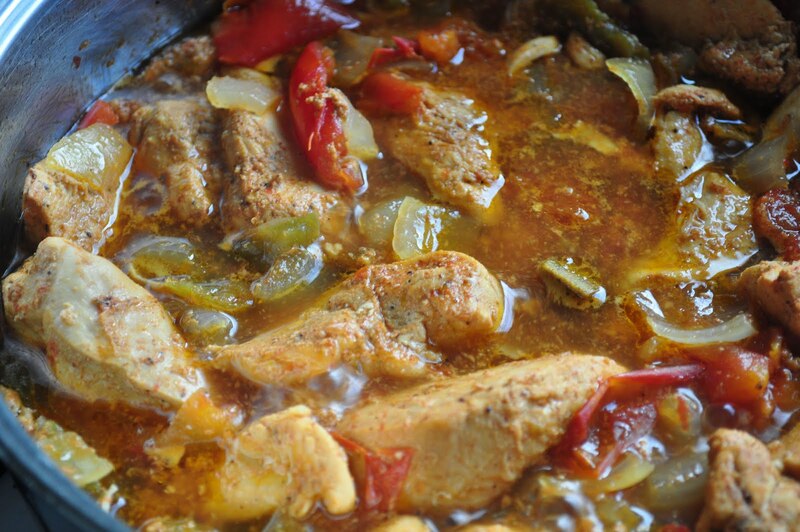 Dump in the leftover marinade mixture, the remaining tablespoon of recado, and the diced vegetables. Cover, turn to low, and let simmer about 40 minutes or so. Check that the chicken looks cooked. Taste the broth, you may need a little more salt or recado powder at this point-- you want a nice orange color. 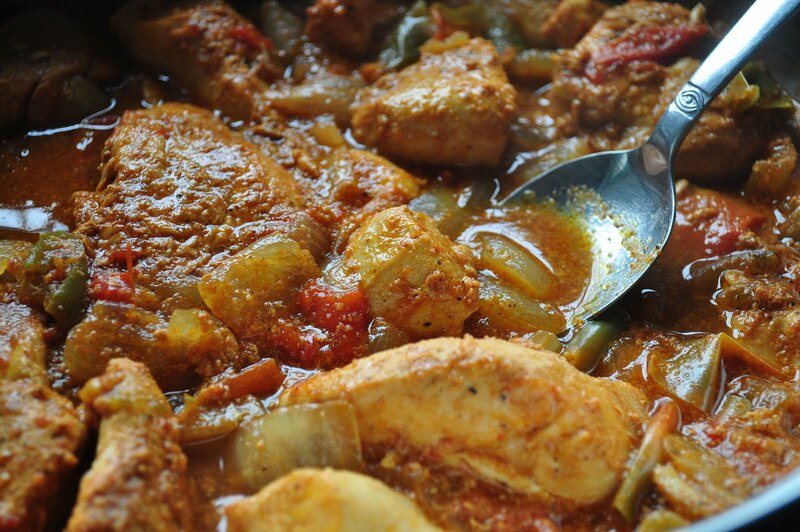 Now let the chicken simmer without a lid to thicken the sauce. That's about the right thickness. 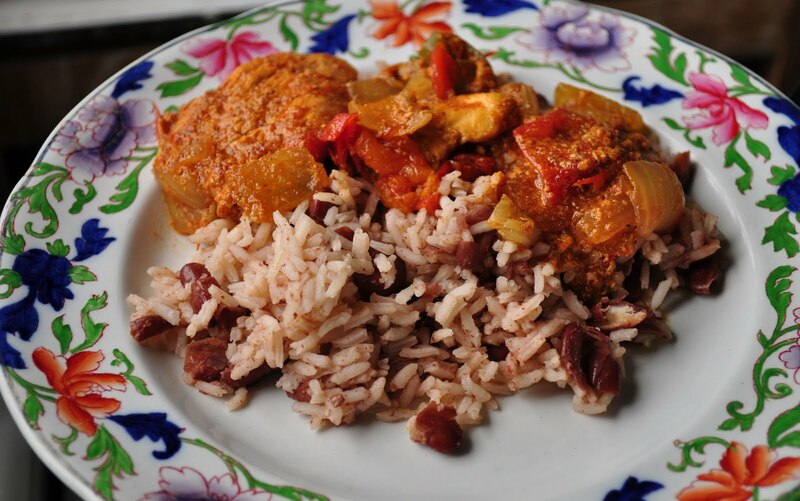 Stewed chicken is traditionally served with fried plantain, coleslaw, and rice and beans. 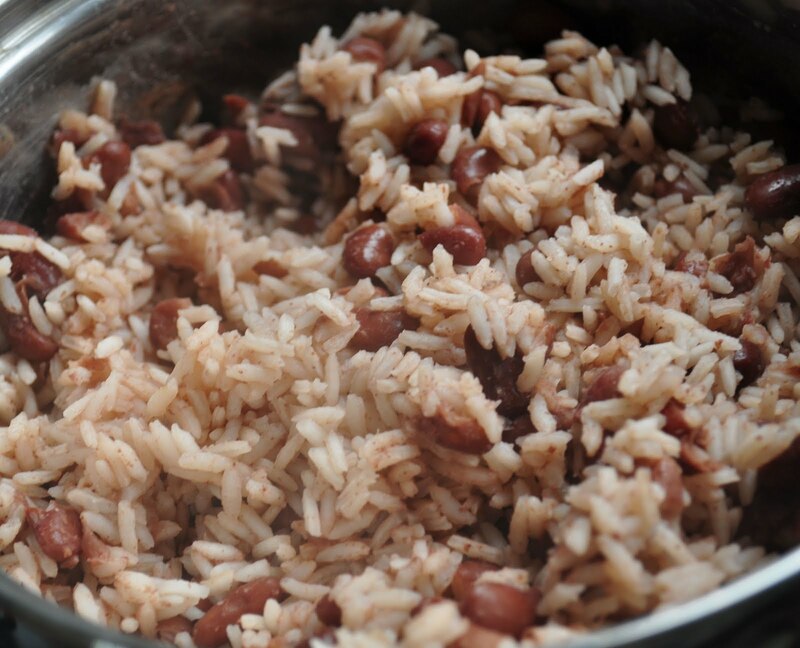 Rice and beans are really easy to make if you have a pot of stewed beans (or I supposed you could use beans from a can, if you are desperate, but you need to salt and season them well). Take the amount of non-instant rice you want, and wash. Instead of adding water, add the liquid from stewed beans till it covers the rice. Add enough water so the rice is covered plus about 1 cm. Add beans (the amount varies with how much rice you are making- I do about 1/2 cup of beans to every cup of rice). Cover and bring to a rolling boil. Reduce heat and cook till rice is done. 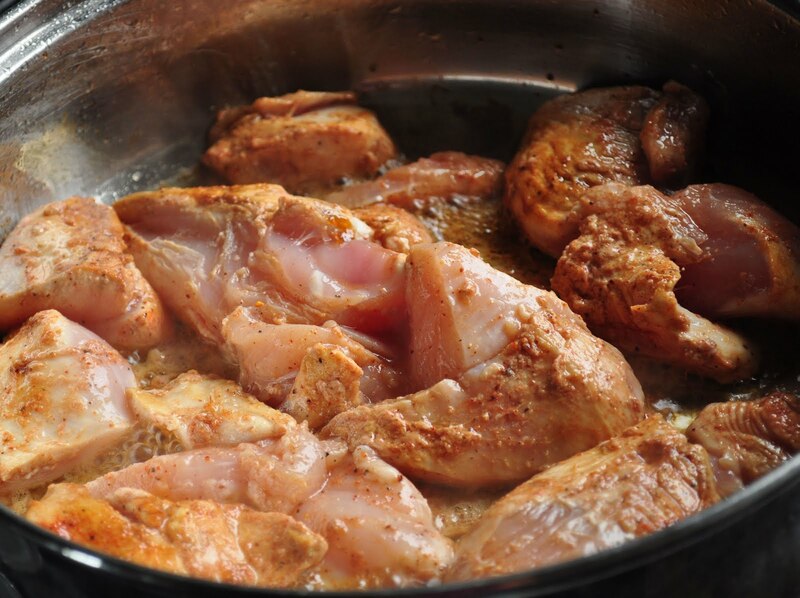 Serve the stewed chicken over the rice and beans. Edited to add: So this recipe by far gets the most views on my blog. Please leave a comment if you have tried it! Let me know if it turned out well, or if I should redo the recipe with more exact measurements. Thanks! Oh my goodness - my husband is going to be SO HAPPY I found your blog (and this recipe)! He still talks about the stewed chicken we had there on our honeymoon. haha Thanks for sharing! You're welcome Stephanie! Hope you enjoy. Soon this recipe will be published in the Salud2 Recipe book! While living in Belize a local gave me this recipe but it also had a light tan colored powder spice I am yet to identify. But this looks like it will do just fine. Thanks! What does the recado taste like? Is it spicy? It has a unique flavor, not sure I can describe it. It's not spicy at all though.